Shanghai (AP) — When Lewis Hamilton finally emerged from the garages on a rainy, foggy Friday at the Chinese Grand Prix, it wasn’t to take his Mercedes out for a practice lap, it was to sign hats to throw into the crowd. Hamilton and the other Formula One drivers had very little time on the Shanghai International Circuit after poor visibility wiped out much of the day’s two practice sessions. With the circuit’s medical helicopter unable to land at the nearest hospital in case of an accident, F1 canceled the afternoon session completely and gave drivers the green light for only about 20 minutes in the morning. Red Bull driver Max Verstappen had the fastest lap time of the abbreviated morning session. Ferrari drivers Sebastian Vettel and Kimi Raikkonen, and Hamilton failed to set a lap time. After the second session was called off, Hamilton walked onto the track to take pictures of the hardy fans who remained hoping for the weather to clear. He signed hats and threw them into the cheering crowd. On Twitter, the three-time world champion pressed the FIA and F1’s new owners, Liberty Media, to adjust the weekend schedule to allow for more practice runs. 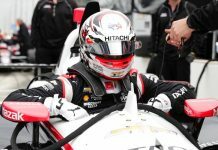 He suggested holding three practice sessions on Saturday and then qualifying on Sunday morning before the race. “This could actually be a blessing in disguise. A chance for new bosses to be proactive & be creative,” Hamilton tweeted. The FIA ruled out adjusting the schedule due to the weather, spokesman Matteo Bonciani said. The forecast for Saturday’s qualifying was expected to be clear, but rain could return for Sunday’s race. The slick conditions caused plenty of sliding for the brief time the drivers were on the track in the morning. 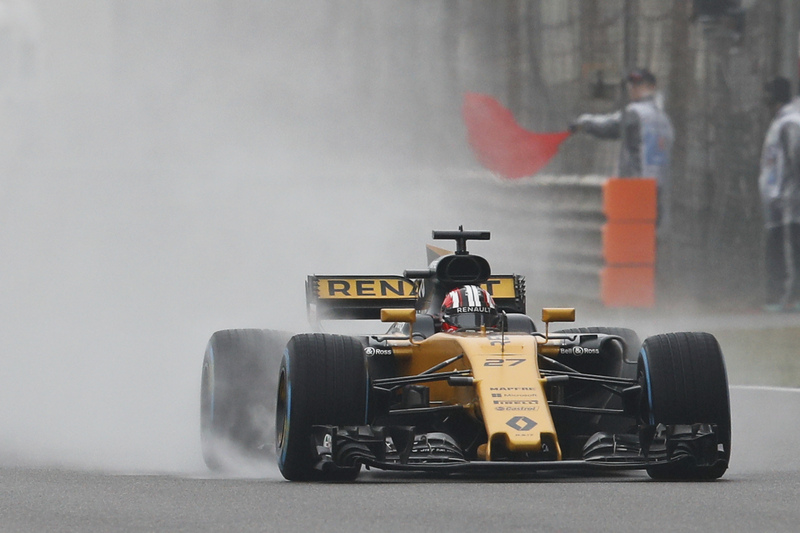 Haas racers Kevin Magnussen and Romain Grosjean spun at Turn 9 and Renault driver Niko Hulkenberg ended up in the gravel after spinning on Turn 3.